Home > Adult Learning > Are You Ever Too Old to Study? Babies and young children absorb information with amazing ease, and it gets harder (or it certainly seems to) as people get older. So is there any point trying to study as an adult, and especially as an older adult? Children seem to learn things more easily than adults do – this may partly be because of their natural curiosity and enthusiasm. It may also be because of the way that they learn. Children may learn languages more easily because they can still pick up the small and subtle sounds that are part of accent and pronunciation, which they use to learn to speak as babies. Adults are more likely to ignore these, as they no longer need them to understand speech. According to a study in the USA in 2004, children have better memories than adults do. This seems to be because of the way they remember things, and this may help them retain the things that they learn. Added to this, children, teenagers and young adults spend more time in an environment suited to learning, in schools, colleges and universities, and are helped to learn by parents and teachers. They are also driven by peer pressure and competition. Adults may find learning harder than children may, but they can still be successful in learning because they are driven by enthusiasm, or by a desire for improvement. Adults are generally learning because they choose to, rather than because they have to. They may have selected a course because of interest or the opportunity to change or improve their career. Adults may not have the same amount of support in learning that children and young adults receive, so will have to create their own support networks through friends, family and colleagues. It is received wisdom that older people find it harder to learn. 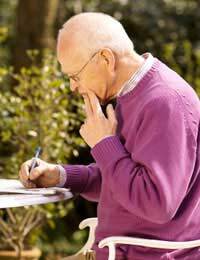 While it might be partly true, older people can still remember things that they learn. In a study carried out in Canada and published in 2009, people aged 70 to 79 years or 80 to 90 years were tested and both groups could remember about 50% of the ideas that they had learned in an earlier study. Continuing to learn as an older adult may be important for health – learning may stave off the onset of Alzheimer’s disease, a form of dementia that becomes more common as people age. So… Are You Ever too Old to Study? In China in 2010, Ma Xiuxian became the oldest primary school pupil in the world at 102. She had started work at 13, and had nine children, seven of whom went to university. If she can do it, then no, you are never too old to study!